The Machao Orphanage Foundation is committed to handling all the donations we receive with integrity and strive to manage all funds responsibly. The Machao Orphanage Foundation is a 501(c)(3) organization (under the parent company – Cayenne Wellness Center and Children’s Foundation). Machao Orphanage Foundation is the Children’s Foundation of Cayenne Wellness Center. All donations to The Machao Orphanage Foundation are tax deductible. We are committed to financial stewardship and accountability. Please feel free to go to Guidestar.com, and review our most recent financial documents. 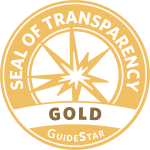 According to Guidestar, they are the world’s largest source of information on nonprofit organizations.